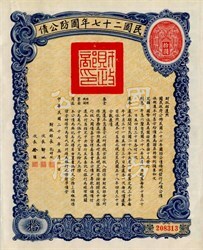 Beautiful 27th Year Liberty Gold Loan Bond certificate from the Republic of China issued in 1938 at the beginning of WWII. 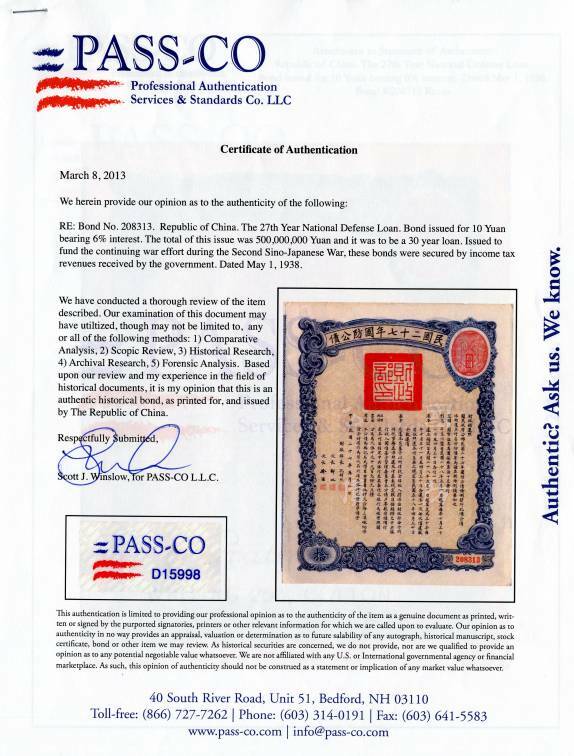 This historic document and has an ornate border around it and has the signatures of various officials and Secretary and is over 77 years old. 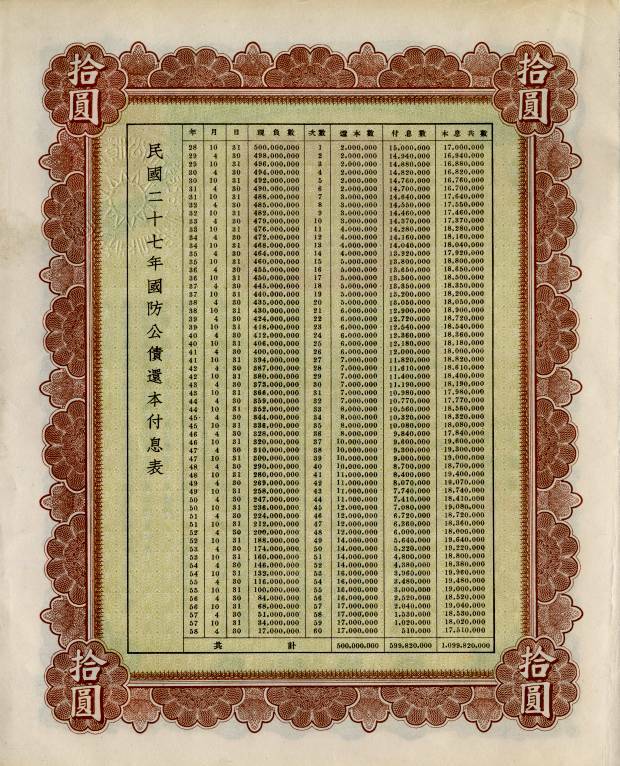 Amortization table on back. 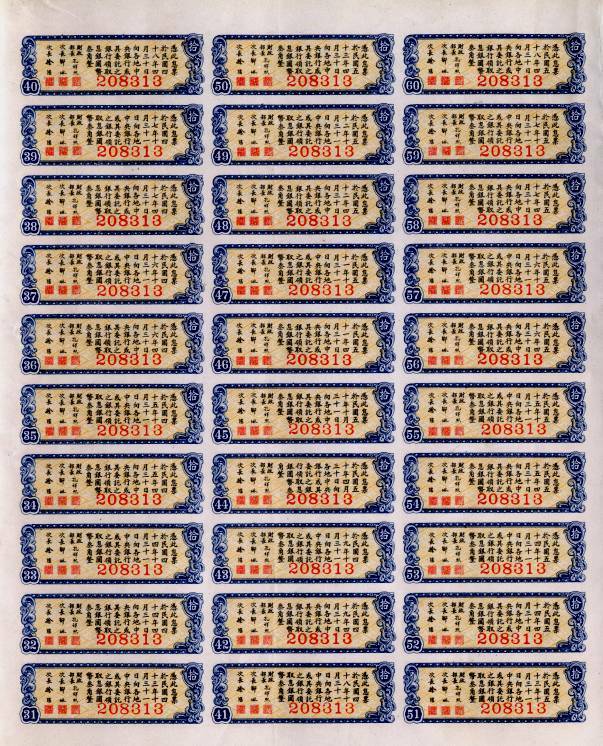 58 Coupons attached on right side.